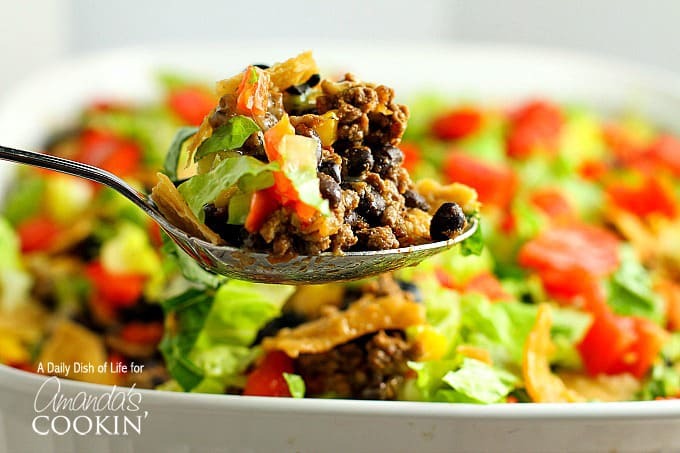 Add a twist to Taco Tuesday and try this delicious Taco Casserole… all the taco fixings in an easy-to-make casserole! It’s sure to become a family favorite. We’ve already added it to our favorite ground beef dinners! With back to school right around the corner for us, I am looking for as many quick and easy dinners as I can find. I’m sure many of you are doing the same. Weeknights are always rushed for us with sports practices, games and meets. I’m a little nervous about getting back into the swing of things, but I’m sure after a few weeks, I’ll be fine. I like to do a Mexican night at least once a week. Mexican food is one of my favorites…I honestly can’t get enough of it. My kids really love tacos, so I knew they’d like this taco casserole. It has all the fixings of tacos, in casserole form. It’s really easy to make, and there’s less cleanup because everything is put together in one dish. Bonus for me! I love to cook, but I don’t love doing dishes! Looking for more dinner inspiration? 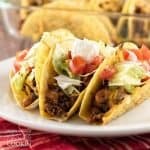 Try one of our favorite taco flavored dinners below! You can certainly use a packet of taco seasoning for this, but why not try making your own homemade taco seasoning when making this casserole? Making your own is quite simple, and it’s cheaper and healthier as well. And you probably have everything you need right in your spice cabinet. Why not give it a try?! Here it is ready to go in the oven, before adding the cheese. Doesn’t it look good?! It’s packed with all sorts of great fixings! 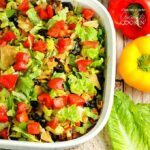 Hot out of the oven, topped with chopped lettuce, tomatoes and crumbled tortilla chips, this taco casserole is a taco lovers dream! 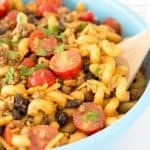 This Taco Casserole has quickly become a new family favorite this summer, and it will definitely be on the menu this fall, given how easy it is to make. 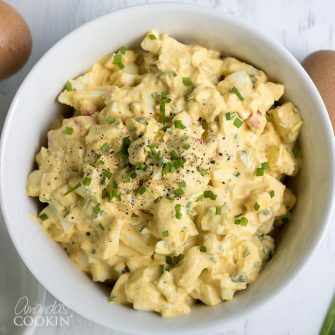 It would be a great dish to bring to potlucks as well. I hope your family enjoys it as much as ours! 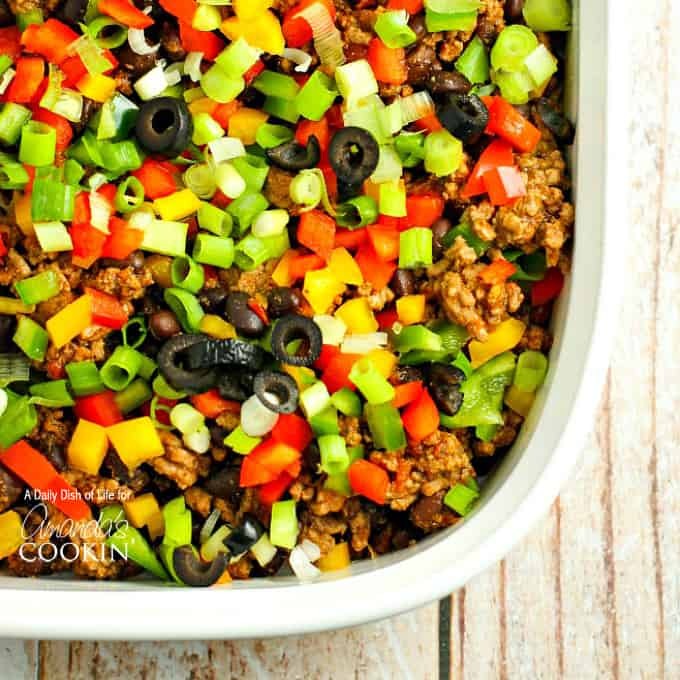 If you’d like another favorite casserole recipe, be sure to check out our Southwest Ground Beef Casserole. Tasty flavors combine to make one hard-to-put-down dinner! 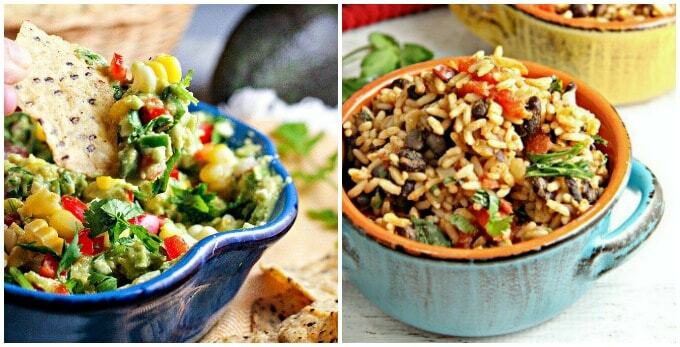 We love Mexican inspired dishes in this house. Here are some favorites that you will love too! Try this gorgeous Fiesta Guacamole from A Dish of Daily Life next time you have the urge to crack open a bag of tortilla chips. This colorful Mexican Rice and Beans from A Dish of Daily Life is the perfect side to grilled chicken with a little cilantro relish. If you’ve ever had the urge to make them, this recipe for homemade flour tortillas is a real winner! Making homemade salsa from canned tomatoes is really easy and the flavors remind me of a Mexican restaurant! If you are an enchilada fan, these shredded chicken and chile enchiladas should definitely make it to your “must make list”. 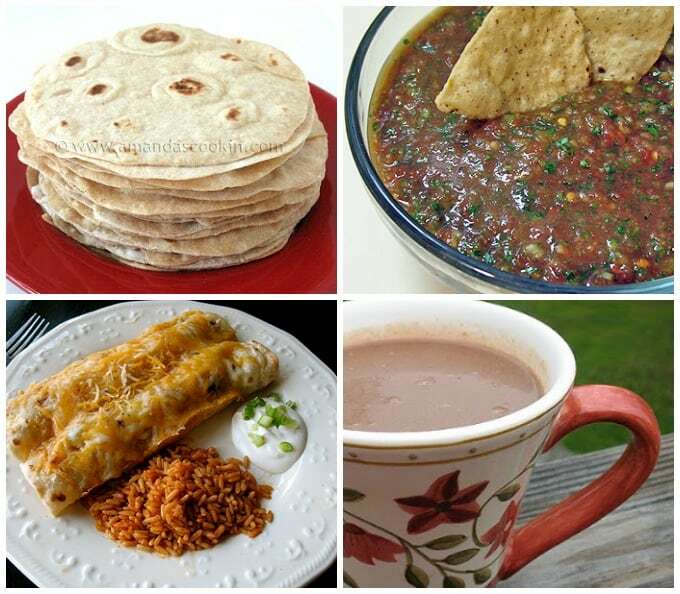 Have you ever had Mexican hot chocolate? There’s a hint of cinnamon in Champurrado and it’s perfect for cooler weather. 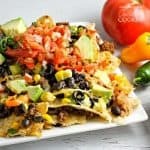 Add a twist to Taco Tuesday and try this delicious Taco Casserole...all the taco fixings in an easy-to-make casserole! It's sure to become a family favorite! In a large skillet, cook ground beef over medium high heat until cooked thoroughly, about 5-7 min. Stir in black beans, salsa, and taco seasoning. Reduce heat to medium and cook for a few more minutes. In large casserole dish, place 2 1/2 cups of broken tortilla chips on the bottom of the dish. 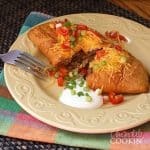 Top with ground beef, bean and salsa mixture. 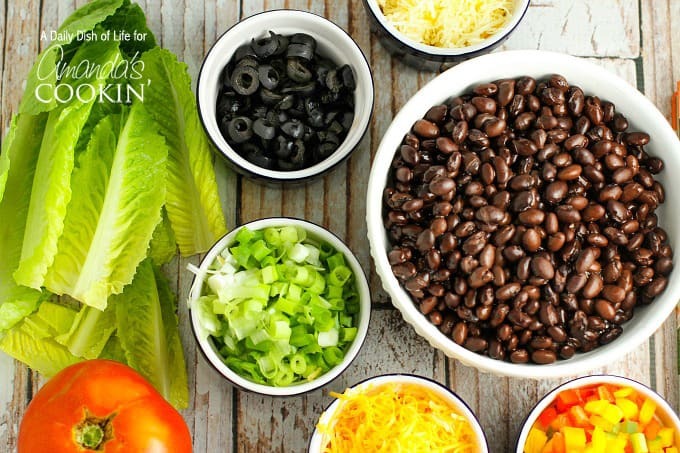 Sprinkle the bell peppers, cut green onions, olives and cheese on top of the ground beef mixture. Bake uncovered for 20 minutes until cheese is melted. 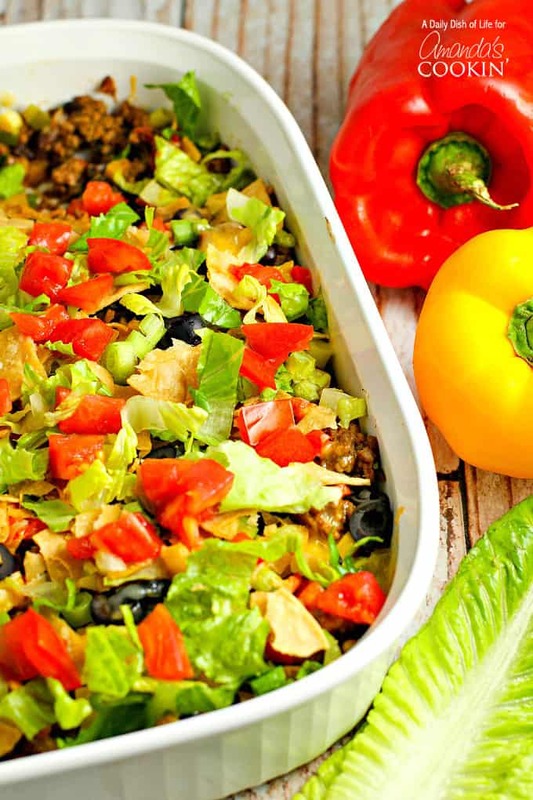 Top casserole with lettuce, tomato, and the remaining 1/2 cup of broken tortilla chips.